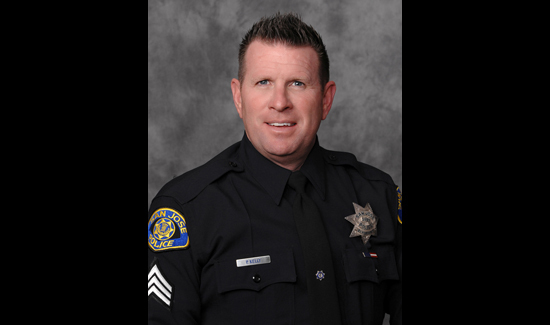 The San Jose Police Officers Association has been fighting Chuck Reed’s efforts to destroy pensions for over a decade; the cost has been high, but they are winning the war. Law enforcement officers, teachers, and anyone else who has chosen a life of public service working for California towns, cities, states, and counties are rejoicing. Yesterday, two of the most committed people dedicated to destroying pensions for public employees, despite the fact that the terms are binding under contract law, took their ball (or should we say sledgehammer), admitted defeat, and went home—at least for now. Cheers erupted when former San Jose Mayor Chuck Reed and former San Diego Councilman Carl DeMaio announced they were withdrawing their effort to get their pension-slashing measure on the ballot this November. In San Jose, when Chuck Reed, a Democrat, was mayor, he put cutting pensions at the top of his to-do list. The result was the loss of over 450 police officers, skyrocketing crime, and emergency response times that hovered around 20 minutes to priority two calls. According to an in-depth story in the Sacramento Bee by Jon Ortiz, the effort to get the measure on the ballot was pulled due to lack of support. When push came to shove, very few were willing to send money or go out and knock on doors. The cost of getting a measure on the California ballot is around $28 million. Dave Low, chairman of the union-backed Californians for Retirement Security, questioned whether “donors will have any confidence in these two failed politicians who have repeatedly bungled efforts” to put a proposal on the ballot. One measure, which Reed said didn’t poll well this month, would have put employees who first join a public pension system on or after Jan. 1, 2019 into 401(k)-style retirement savings plans that guarantee fixed contributions from employers instead of guaranteeing retirement payouts by government agencies. The second measure would have capped how much employers could pay for new hires’ retirement benefits to a certain percentage of their salary. Check out our sister site, PubSecAlliance, for more stories on this ongoing fight. Here’s a link to one of them.